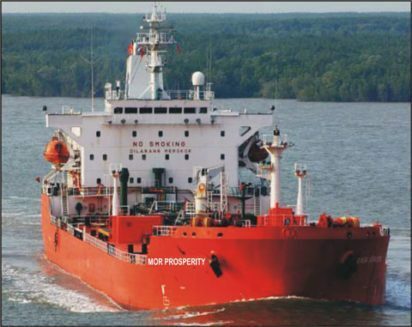 * Mor Prosperity; one of the two newly acquired vessels by Morlap Shipping Company. Ship-broker BTIG said in a report that 107,000 deadweight metric tons of ship steel were recycled in the first three months of this year, up 35% from 78,000 metric tons in the same period a year ago. Of 23 vessels scrapped, 16 were Capesize vessels, the biggest cargo ships that move products such as iron, aluminium, coal and cement from mines in Australia and Latin America to China.